Written by Ben McConnell and Jackie Huba. Reprinted with permission. Australian beer company Blowfly has integrated customer feedback into its company’s decision-making process by asking customer “shareholders” to determine marketing plans, product names, street-team strategies and operational decisions usually made by executive committees. In many ways, Blowfly has turned ownership of the company over to customers. This has caused so much positive word of mouth that the company-even before it was a year old-landed a hefty North American distribution deal with hip grocer Trader Joe’s. Toy retailer Build-A-Bear Workshop sends out weekly surveys to its database of six million customers asking them to rate their recent store experience, including the cleanliness of the bathrooms! Company founder Maxine Clark attributes her company’s success-it has grown to 113 stores in five years doing $200 million in revenue-to its intense focus on gathering customer feedback. The opposite approach to proactively gathering customer feedback-waiting for it arrive on its own-is fraught with peril. Research firm TARP has found that for every person who complains, there are 26 who do not. That means if you have 1,000 customers and 100 of them complain, another 260 may have quietly dumped you, never to call again. To know what customers are thinking, we must ask. Companies that operate as feedback machines-using a plus-delta model of understanding what customers love (the plus) and what they would improve (the delta)-make improvements to their operations quickly and efficiently. How often does someone in your organization respond to an innovative idea by saying, “Our customers don’t want that.” But you already have had customers indicate otherwise. The naysayer is operating from a level of otherworldly omniscience and is in the wrong the field of work. Other killjoys will argue that customers are incapable of knowing what really makes a product or service valuable, and therefore customer input is unnecessary. Asking customers to participate in your problem-solving and idea generation is an act of courage, not of weakness. Every customer interaction is an opportunity for feedback. Avoid the trap of “we don’t want to bother our customers.” If are customers are busy, they will politely decline. As Peter Drucker once said, a business has two purposes: marketing and innovation. Enlist the aid of your highly affiliated, most passionate customers to help you improve an aspect of your business every week so that it builds monthly momentum. Word will spread quickly when a company’s quality starts improving, especially if you thank specific customers for their assistance. Multiple-page customer surveys that take six months and cost the equivalent of two salaries may impress the CEO and board of directors, but they may be outdated by the time the data arrives. Short, fast surveys deliver better response rates and allow you to react rapidly to issues raised. Solve one or two problems at a time, not everything at once. Tell your customers how their feedback directly contributed to your changes. With his customer plus-delta on his daily schedule, he’s not the last to hear about problems. Often, he’s the first. Obviously, he has the cachet to resolve issues quickly. When the CEO of a company has resolved your complaint, word spreads fast. 7. Make it easy for customers to provide feedback. Companies as feedback machines employ multiple input points: in person, email, Web sites, point-of-purchase cards or receipts, conferences and the telephone. After all, being a feedback machine is about making it easy-for the customer-to provide feedback, not what’s convenient for you. Online survey tools makes it very easy to gather feedback via the Web. They are typically fast, efficient, and inexpensive. They automatically tabulate data and don’t require a techie to launch. Your data is virtually complete within 48 hours of sending customers a link to the survey. 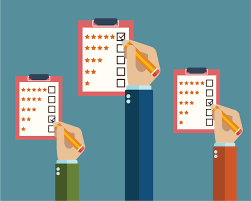 Responsibility for customer feedback extends beyond the marketing department. It’s a “theology” (and practice) from the executive suite to the sales force and everyone in between. Accordingly, ensure that everyone in the company knows what customers are thinking by sharing customer feedback; product and service decisions will be better informed as a result. You can’t move a mountain in a day, but you can make it easier to climb by clearing a path. Customers who evangelize their friends and colleagues love a responsive organization, especially ones that keep them in the loop of how their feedback was used (or wasn’t). Ben McConnell and Jackie Huba are regular MarketingProfs.com contributors and authors of Creating Customer Evangelists: How Loyal Customers Become a Volunteer Sales Force (Dearborn, 2002). Their 24-page e-book, Creating Customer Evangelists Discussion Guide, is a how-to manual for hosting discussions in your organization on creating more passionate loyalty and word of mouth. Find more information about McConnell and Huba on their Web site: www.CreatingCustomerEvangelists.com. If you are interested in a demonstration of full-featured online survey software perfect for collecting and reporting on customer feedback, please request a demo. Sign up for our weekly newsletter MobileMatters (mobile research best practice) using the form at the bottom right of this page.